What Are The Best Quality Pellets? Home > What Are The Best Quality Pellets? 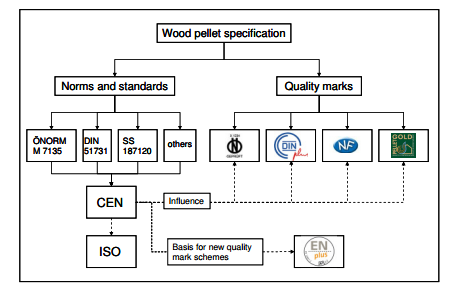 Why do you need to know wood pellet quality standards? 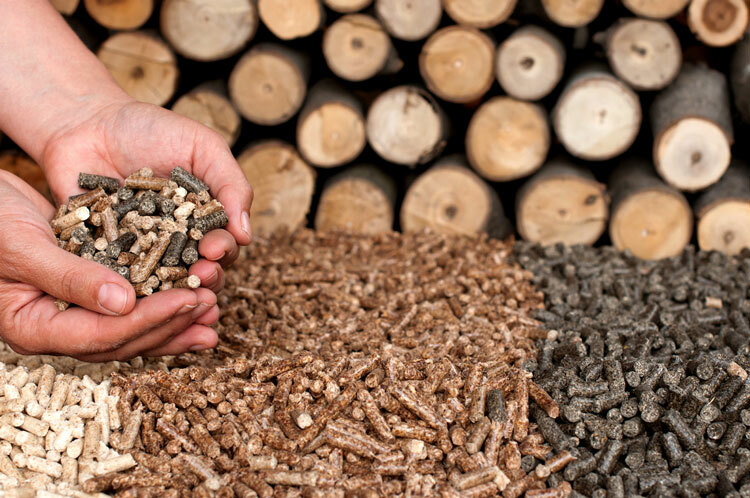 No matter what you are planning: buying wood pellets or building a wood pellet plant, it is important for you to know what wood pellets are good and what are bad. Thanks to the industry development, there are more than 1 wood pellets standards in the market. Wood pellet standardization is an established unified specification of the products in the industry. Since the Austrian standards (ÖNORM M1735) has been published in 1990, several EU members have developed their own national pellets standards, such as DINplus (Germany), NF (France), Pellet Gold (Italy), etc. As the largest pellet market in the world, the European Commission has established the EU standards (CEN TC335- EN 14961) for solid fuel, which is based on Austrian standards (ÖNORM M1735). Based on all the existing standards of wood pellets, Gemco is providing you an advanced specification to help you to identify the high-quality wood pellets. The most common wood pellet diameters are 6mm and 8mm. Generally, the smaller the diameter is, the better pelletizing performance it has. But if the diameter is under 5mm, the energy consumption is increased and the capacity is declined. Also, due to the shape of the pellets, the volume of the product is compressed, it saved the storage space. Moreover, it is easy to transport, so the transportation cost is low. Among all the existing standards, there is a common cognition about the diameter errors, which is no more than 1mm. According to all the wood pellets standards, the required moisture content is similar, no more than 10%. Technically, during the process, the water content is the binder and lubricant. If the moisture content is too low, the pellets cannot be fully extended, so the pellets may be deformation, and the density is lower than the normal pellets. But if the moisture content is too high, the energy consumption will be increased, and the volume will also be increased, normally, the pellets will have a rough surface, and in severe cases, the raw materials may be erupt from the dies of the pellet mill. All pellet standards indicate that the best moisture for wood pellets is 8 %, and the best moisture for grain biomass pellets is 12%. The pellet moisture can be measured by a moisture meter. The density of the wood pellets is one of the most important specification, normally it can be divided into bulk density and pellets density. The bulk density is a property of powder materials, such as pellets, the formula is the quantity of the powder materials divided by the volume they need. The bulk density impacts not only the combustion performance but also the transportation cost and storage cost. Further more, the pellets density is also an influence for its bulk density and combustion performance, the higher density it has, the longer combustion time it will last. The mechanical durability is also an important parameter. During the transportation and storage, the pellets with a lower mechanical durability are easily damaged, it will increase the powder content. Among all kinds of biomass pellets, the wood pellets maintain a highest mechanical durability, about 97.8%. Compare to all the biomass pellets standards, the mechanical durability is never less than 95%. For all the end users, the most concerned problem is the emissions, which is consist of Nox, Sox, HCl, PCCD (polychlorinated dibenzo-p-dioxins) and fly ash. The Nitrogen and Sulfur contents in the pellets determined the amount of Nox and Sox. Additionally, the corrosion problem is determined by the chlorine content. In order to have a better combustion performance, all the pellets standards recommend a lower chemical elements content.